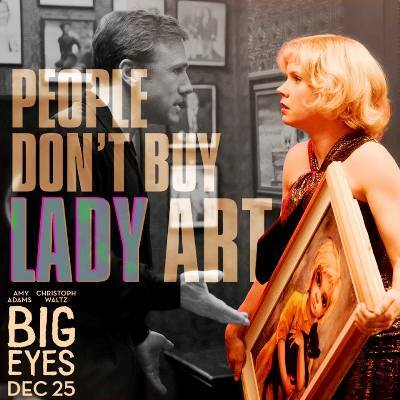 It’s the 1960s and no one wants to buy ‘lady art’, not least from a withering divorcee and single mother, or so starts Tim Burton’s latest offering, Big Eyes. 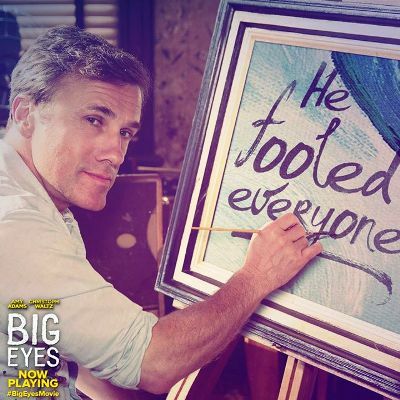 Based on a true story, the film centres around artist Margaret Keane (Amy Adams) and her new realtor husband Walter Keane (Christoph Waltz) who, with his knack for selling and compulsion for artistic fame, ends up taking credit for her paintings and successfully making them into a commercial art sensation. It is only ten years down the line, once Margaret takes her daughter and leaves Walter, that she gains the courage to speak up and finally tries to reclaim the art that is rightfully hers. 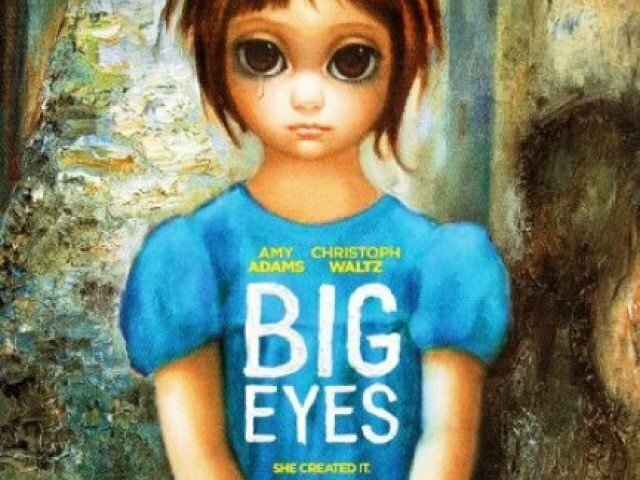 Big Eyes is about as un-Burton as it gets which, as with Ed Wood, is not necessarily a bad thing, it’s just a shame that in this type of film where there is scope for the visual exploration of a character’s inner self, this is not illustrated through the more immersive, surreal aesthetics for which Burton is renowned. While there are some striking glimpses into the artist’s psyche as well as pop culture, it is the story of a lost sense of self-worth that is the most fascinating and alongside the perennial question of what is art, could have been better explored. 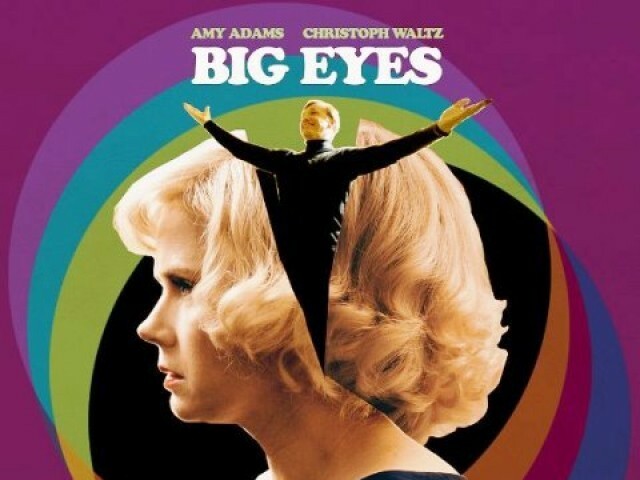 Instead, the film focuses on the more conventional story of Walter and Margaret’s relationship, mostly eschewing a deeper understanding of the more challenging cultural debates, though these are briefly explored through art critic John Canaday (Terrence Stamp). The trouble with concentrating on the relationship throughout the film is that Walter is painted as a clichéd pre-Frozen Disney villain – right from the creepy first kiss he shares with Margaret – limiting room for character growth thereafter. 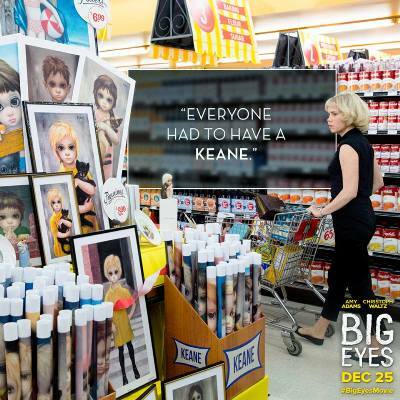 And as the film continues hammering home the vilification of Walter Keane, it simultaneously campaigns for a sainthood for Margaret Keane, making these polarised characters not only a little boring to watch over an hour and a half but also further reduces the impact the deceit has on other relationships in the film, most importantly, the mother daughter arc, which is left to the wayside and only features in contrived fits and starts. While the characters are rather one dimensional, Amy Adams is once again pretty remarkable and although she plays a rather feeble character, we still manage to empathise with her by the end and it is arguably safe to assume that she plays Margaret with more nuance than the character might have been written on the page. Waltz, on the other hand, does not go unscathed and is left playing a maniacal character from the start without respite, ending up as an obscenely melodramatic arch villain by the end of the film (though overzealous Weinstein’s cleaver-editing may also be a contributing factor). 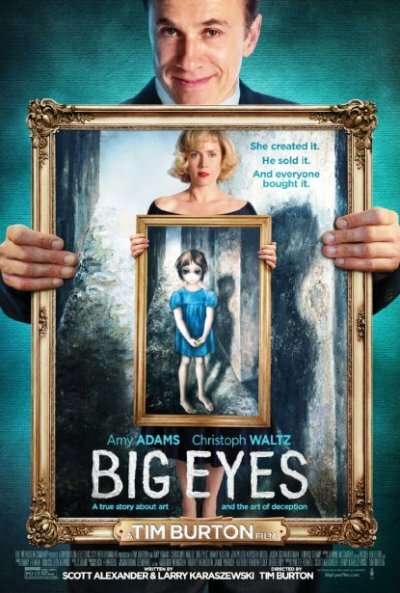 Big Eyes is the epitome of a case in which the Hollywood-sanitised version of a story is told and a much more fulfilling yet less straightforward structure akin to a riskier independent film is sacrificed for salubrious, commercial fayre. I’ll give it a 2/5.